Sometimes, we get a story that frankly can’t be serious. Yet there is the disturbing possibility that this is actually a serious request, so we’ll post up what was added to the NFTU forum this morning. Apparently Bishop Jerome (Shaw), known to most anti-unionists over the past twenty years as Fr John Shaw, has issued a statement over email with some of the most ridiculous of claims, with the intent of calling for HOCNA to enter into the bosom of the MP. 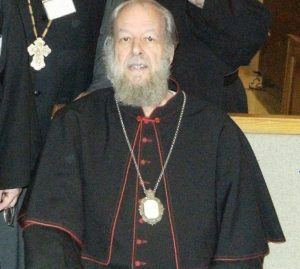 Between such fascinating and unconfirmed claims such as a “near deathbed confession” from Fr Panteleimon (no source has confirmed anything of the sort) and a bold request to admit that the charges of ecumenism in the ROCOR were not true (although at least some of that turned out to be justified, and further, Fr John himself was one of the promoters of union with the Moscow Patriarchate), the letter seems to be full of unconfirmed, unconfirmable but juicy details that may well not be true at all. And yet stranger still is the fact that most of those involved in the division actually do seem to have a place to go– either they want to stay in HOCNA, or they want to go to the GOC-Kallinikos. I don’t think crowds are going to be kicking down the door at the Russian Synod Cathedral or anything (unless there’s an open house). Most of all, we love the fact that he addressed it to an anonymous webmaster. Or maybe we’re just putting this article up as an excuse to show Bp Jerome in what we think are utterly charming episcopal accoutrements. The letter is below– and no, we can’t believe it either. I can only take a guess at writing to the above e-mail address, since I do not know who will be reading this message. At any rate, I am Bishop Jerome of Manhattan, of ROCOR. The past two days I had heard that there have been some unexpected developments in HOCNA: that last Sunday, Fr. Isaac at the behest of Fr. Panteleimon, made the announcement that all the charges against Fr. 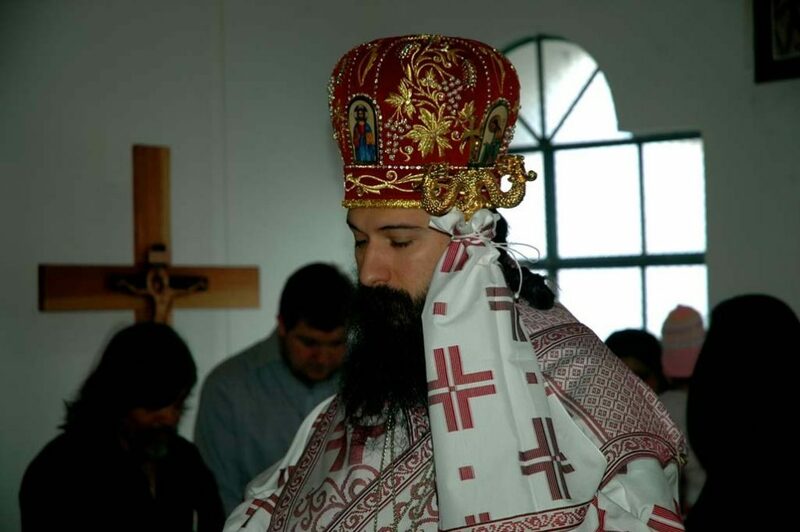 Panteleimon, were true, after all — and that Fr. Panteleimon, who by now must be in his early 80’s, has been diagnosed with pancreatic cancer and given 3 months to live, is being cared for by the nuns of a convent in Toronto (I have no idea how to contact that convent, or even what its name might be); and that other key developments have taken place, or are taking place. Those who “go back that far”, to when those charges against Fr. 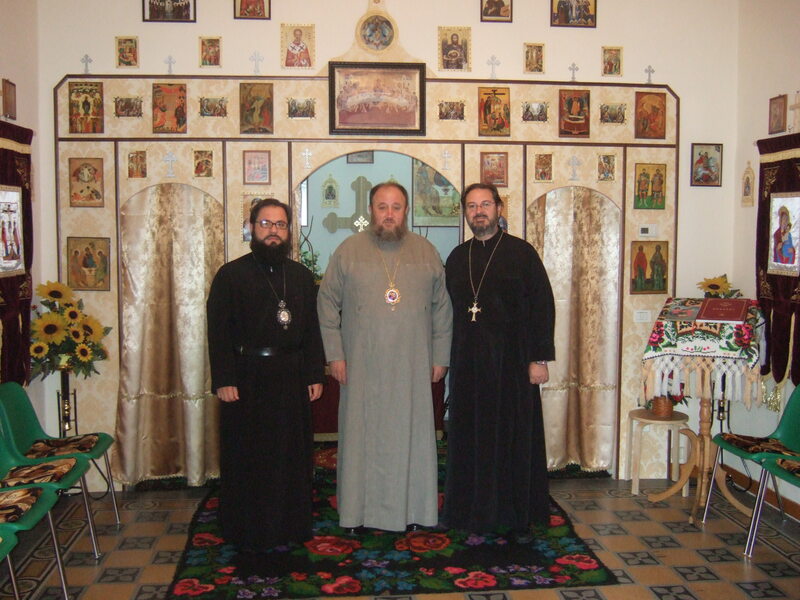 Panteleimon were brought before the Synod in 1986, also know that all the clergy and communities that went into the makeup of HOCNA, had been in ROCOR till the charges were brought. confession, there still remains the other side of those events: the accusations that were brought against ROCOR to justify the departure of the Panteleimonites. just for themselves, but for the families and parishes in ROCOR that the split of 1986 caused. In particular, I am thinking of the ROCOR parish in Albany NY, where I am planning to be next Sunday (Sept. 10/23) for the celebration, not just of the parish feast, but of the retirement of Fr. Vsevolod Drobot who had been the pastor there since 1961, and for whom the division has long been a source of grief. ago, should be an important step towards the “clearing of conscience”. Furthermore, as Bishop of Manhattan, I would like to offer an invitation to the HOCNA members to “come back” — it still is possible, and despite all the disputes, misinformation and bitterness, ROCOR is still the same Church it always had been, and in which many of those now in HOCNA, once enjoyed spiritual prosperity. If desired, I would be welcome to meet with any of you who would wish it. HOCNA: Bp Jerome Can’t Be Serious!